All ritzy and glitzy in an urban reinvention way, you'll find plenty of unusual things to do in Rotterdam. But Rotterdam does like to put the provocative into its cityscape, its art museums and pretty much every factor of daily life. When the Nazis bombed the city centre, Rotterdam decided not to "rebuild" but to start anew. When the old port faltered as fewer emigrants fled to New York , Rotterdam redesigned its waterfront. What did I miss? 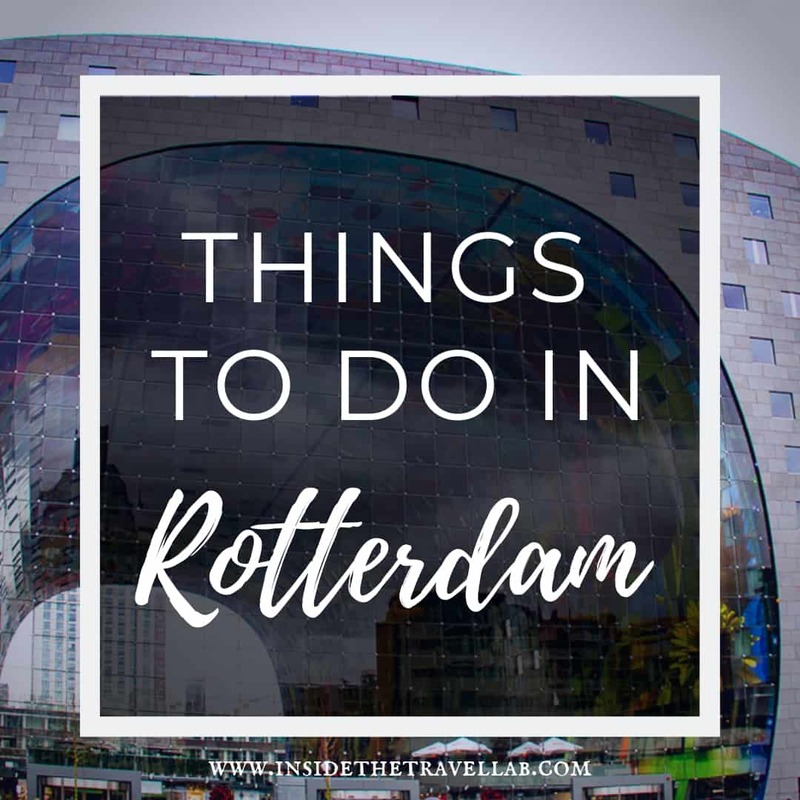 What other things are there to do in Rotterdam? Take a tour to catch the highlights and understand the stories behind Rotterdam's chrome and glass. Check out work from the less well known local boy Hendrik Chabot at the museum that bears his name. Marvel at the bubbly floating buildings that represent Rotterdam's scientific efforts to combat the threat of global warming. It is RIDICULOUSLY easy to link together the cities of Amsterdam, Rotterdam, Utrecht and The Hague by train. City hop between all four over a weekend and get a brief taste of each. Or hunker down in one and explore it thoroughly. Cafe-Restaurant Rodin - a light and airy restaurant in the vibrant Witte de Withstraat, this place brought warmth to my shivering bones through its truffle and mushroom soup and uber-friendly service. Las Palmas - taste the city in all its modern glory in Las Palmas, creation of Dutch TV chef Herman den Blijker. Sea bream on pearl barley can seem dry and dull in lesser hands; here it's perfection. The Mainport suffers from a common affliction among modern hotels - difficult-to-find-all-the-light-switches-to-turn-them-off-at-night-itis but the view from the glass walled elevator more than makes up for that. Each city (Rotterdam, Utrecht and the Hague) can be reached with ease by train from Amsterdam Schiphol airport. All that said, there are buses and trams in each city and plenty of helpful, friendly people about who speak spectacular English and are happy to help you out. 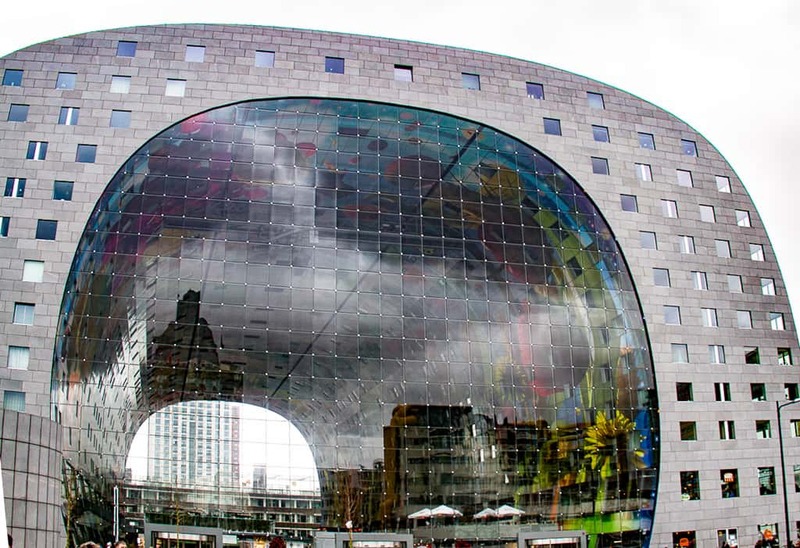 Disclosure – The challenge to explore the three cities of Rotterdam, Utrecht and The Hague in three days came from easyJet (as did the flights.) I put the itinerary together myself, with some assistance from Rotterdam Partners and Den Haag Marketing. The pick of what appears here was entirely down to me, as ever, as always etcetera etcetera. After all, if I’ve had a bad time somewhere, why on earth would I recommend it to you?! Well written post with great tips. It’s been so long since I’ve been back to Holland—lived there in 2005—so thanks for this peek at what it looks like now! I fully intend to take myself to all of these places in the near future. I love the spots you suggested to check out! Can’t wait to go see them for myself! Looking forward to seeing your grand London based adventures! Looks like you managed to see and do a lot in three days! I really enjoyed all three cities, too, in particular Utrecht. The city really surprised me with its beauty, and I loved the Rietveld Schroder House museum. Ah, interesting. I enjoyed all three but Utrecht was probably lower on my list…Perhaps because I had less time there to really get under its skin (and I didn’t manage to make it to the Rietveld Schroder House…) Ah, next time, next time! The EU has never theatened the outdoor sale of fruit and vegetables, that’s a very tired old myth. Great post! Massively inspired me to travel in Holland again, especially Utrecht! Glad to hear it – any plans to go any time soon?